Conti Solar, an industry-leading renewable energy development, engineering, procurement, and construction company, announced today that it has received a strategic investment from a fund managed by Ares EIF, the power and energy infrastructure strategy in the Private Equity Group at Ares Management, L.P. (NYSE: ARES). Expected to close at the end of April, the investment will give Ares EIF a majority ownership stake in Conti Solar with a minority position retained by The Conti Group. Terms of the transaction were not disclosed. The company will continue to operate as Conti Solar, maintain its current offices, and be managed by its current executive team. The Conti Group will continue to be involved in the oversight and strategic direction of the company. Conti Solar, previously a wholly-owned subsidiary of The Conti Group, has been active in the development, engineering, procurement, construction, and operations of solar and energy storage projects totaling more than 500 MW throughout the United States and in select international markets for more than a decade. 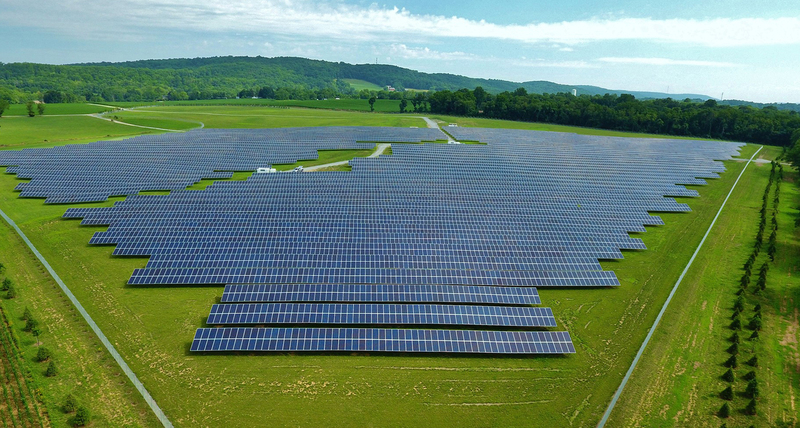 "The investment from Ares EIF will make Conti Solar a more dynamic company and will enable us to accelerate our growth and pursue additional strategic initiatives," said Matthew Skidmore, CEO of Conti Solar. "Together, we will drive more value to our customers and partners across the industry." Ares EIF is an experienced investor in the U.S. power and energy infrastructure sector and has invested in nearly 130 different power and energy infrastructure assets with a combined underlying enterprise value exceeding $20 billion. "Our investment in Conti Solar is a great strategic fit for Ares EIF, but, above all, it is an investment in Conti Solar's management and the strong team and culture they have built over the years," said Keith Derman, Partner with Ares EIF. "We will work collaboratively with Matt and his team to continue to build upon the successes they have already achieved." "We are extremely excited to partner with Ares EIF as there is a strong cultural fit between our organizations in addition to complementary skill sets and a shared strategic vision," said Kurt Conti, Chairman of The Conti Group. "This investment continues to advance our longstanding vision of building a world-class renewable energy company."